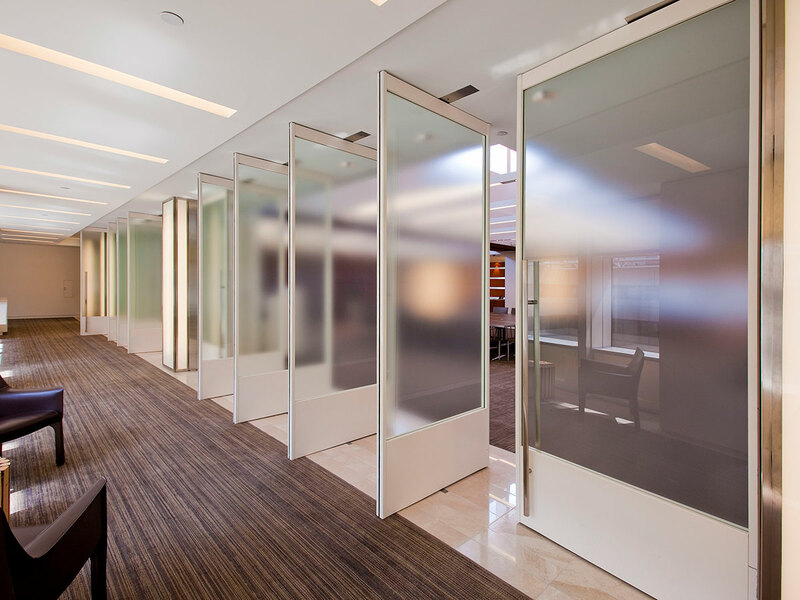 Dickstein Shapiro LLP - Kensington Glass Arts, Inc.
Here’s another one of those “never been done before” things. And this one was big. Like nearly 400,000 square-feet big. 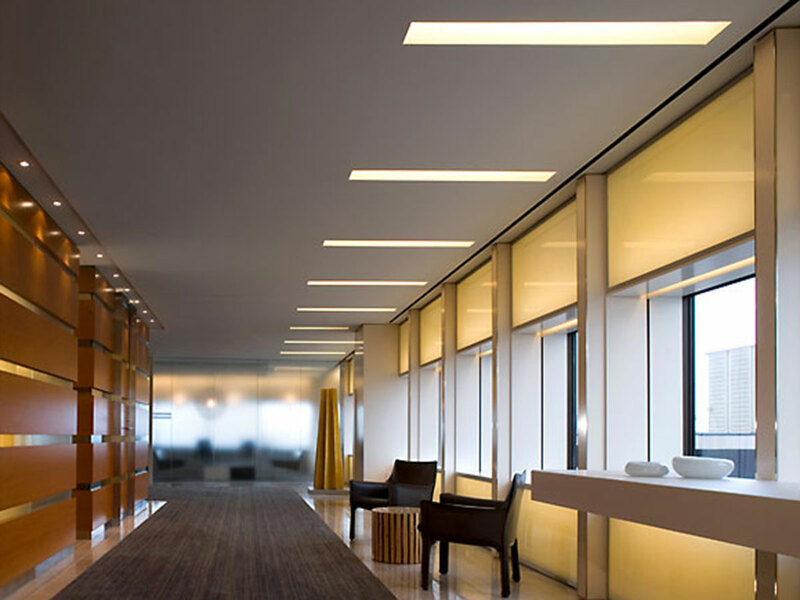 Let’s start with all the different kinds of glass in this 12-floor project. 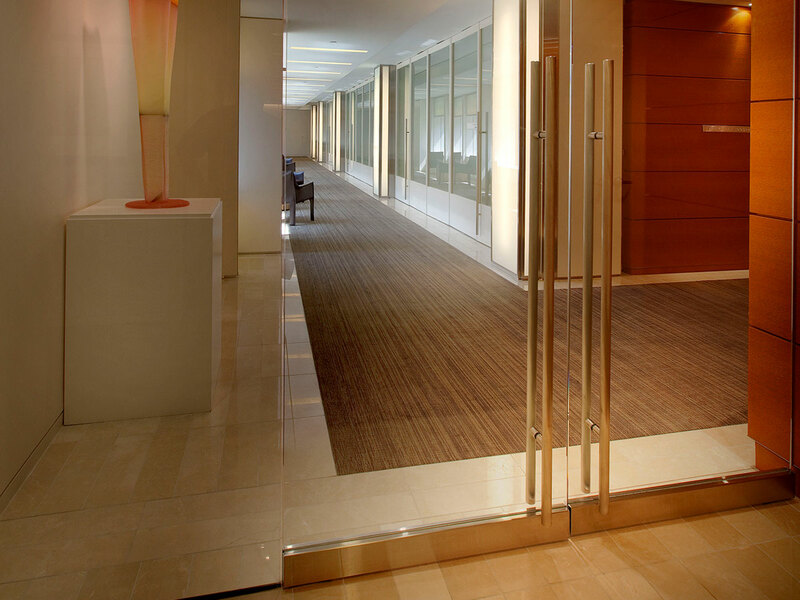 There was specialty acid-etched glass (which we had to find in Spain), kiln-formed glass, back-painted wall glass and specialty laminated colored glass. Plus the custom- made five-foot butterfly aluminum doors. It was like somebody set out to make things difficult – and did a pretty good job of it, too. But it was mission accomplished on all fronts. And one big reason was our in-house pre-construction abilities came in really handy. Not everybody has that capability – which means not just any glass company could have done this job. 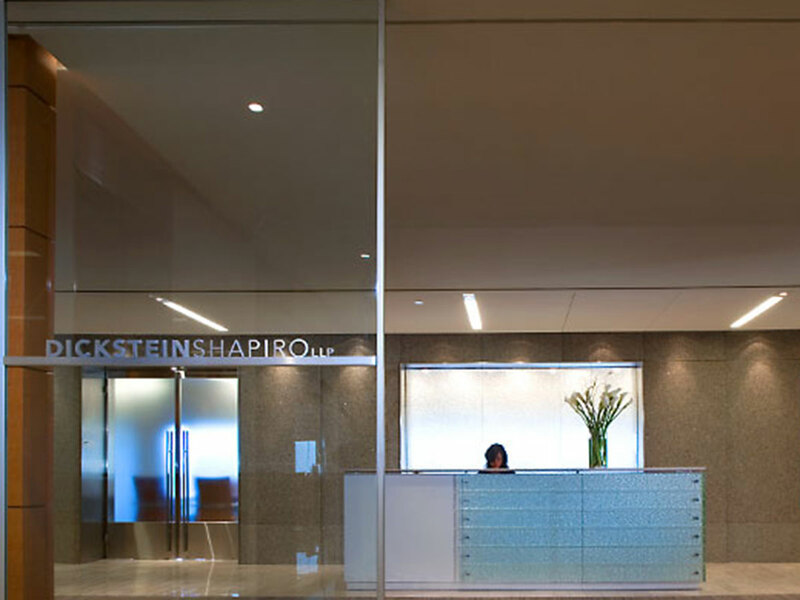 Dickstein Shapiro LLP, Washington, D.C.